About the Book: In A JOUST OF KNIGHTS, Thorgrin and his brothers follow Guwayne’s trail at sea, pursuing him to the Isle of Light. But as they reach the ravaged isle and the dying Ragon, all may be just too late. Darius finds himself brought to the Empire capital, and to the greatest arena of them all. He is trained by a mysterious man who is determined to forge him into a warrior, and to help him survive the impossible. But the capital arena is unlike anything Darius has seen, and its formidable foes may be too intense for even he to conquer. Gwendolyn is pulled into the heart of the family dynamics of the royal court of the Ridge, as the King and Queen beg her for a favor. 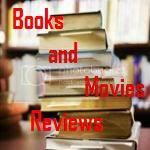 On a quest to unearth secrets that can change the very future of the Ridge and save Thorgrin and Guwayne, Gwen is shocked by what she discovers as she digs too deep. Erec and Alistair’s bonds deepen as they sail further upriver, into the heart of the Empire, determined to find Volusia and save Gwendolyn—while Godfrey and his crew wreak havoc within Volusia, determined to avenge their friends. And Volusia herself learns what it means to rule the Empire, as she finds her precarious capital embattled from all sides. 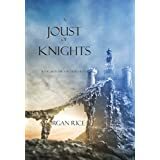 With its sophisticated world-building and characterization, A JOUST OF KNIGHTS is an epic tale of friends and lovers, of rivals and suitors, of knights and dragons, of intrigues and political machinations, of coming of age, of broken hearts, of deception, ambition and betrayal. It is a tale of honor and courage, of fate and destiny, of sorcery. It is a fantasy that brings us into a world we will never forget, and which will appeal to all ages and genders. Book #4 in Morgan's new epic fantasy series, A FORGE OF VALOR (KINGS AND SORCERERS--BOOK 4) is now published! And book #5 in the series, A REALM OF SHADOWS, is now available for pre-order! My Review: In this episode Morgan continues this very entertaining saga. Thor continues his search for Guwayne going with his brothers in arm into the Land of Blood. Darius has to fight for survival at the Empire's capital arena, for entertainment of the empire population of the city. Now he is trained by a mysterious man. Gwendolyn receives a special request from the king of the Ridge. Argon regains conscience. Erec and Alistar struggle to escape the Empire fleet and they go towards the city of Volusia. Godfrey, as usual, is in trouble, but now he learns to live by honor. And Volusia is in the capital of the Empire, defying everyone in a trial to become the Supreme Empress of the Empire. Packed with action, this book will keep you entertained for hours. And there is not an idle moment until you turn the last page! Get ready for another very entertaining episode of this incredible story. You will not get tired of following Thor, Gwendolyn and all our heroes in this new episode. Just be aware that in order to savor every moment of this episode, I recommend that you start reading from the first episode to better understand the dynamics among the characters, as well as have a full idea on the environment of the story.